ありがとう You have great insight about the subject of your post. Your blog is really excellent. Thanks for some other informative blog. The place else could I am getting that type of info written in such an ideal way? I’ve a venture that I am just now working on, and I have been at the look out for such information. 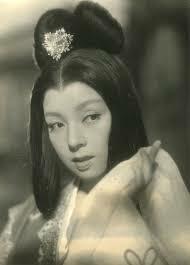 Comment on Kenji Mizoguchi 'Young Qi', zahra, and also burger. Thank you for your advertisement. However, I am sorry but I am in the end of my life, it is in the end of my life, so it is like circumstances called "old man!" To Raizozo Sleepy 4 Rogue, so there is no spirit, no sexiness nor nook to challenge the new Nani at the moment. I can not afford to put more entropy on my personal computer. Well, our public image against Yang Qi-young is said to be "a beautiful woman", but in this work, the reason that Kyo Machi can be seen by Emperor Morima is how the Emperor's love affair that passed away earlier It is a lifetime from "substitute goods", so to speak, that there is an image of the first princess. Morima and Kyo Machi's "conflicts" are not enough, too, Mizoken is in the direction of "profound" profitable only. 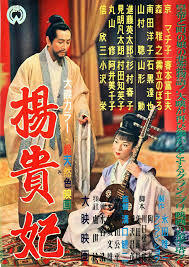 I found this early in Japan's color movie very interesting.The story is traditonal of a king and a queen.i like this movie very much. Well, our public image against Yang Qi-young is said to be "a beautiful woman", but in this work, the reason that Kyo Machi can be seen by Emperor Morima is how the Emperor's love affair that passed away earlier it is a lifetime Morima and Kyo Machi's "conflicts" are not enough, too, Mizoken is in the direction of "profound" profitable only. I am really impressed with your writing skills as well as a theme or you did not customize it yourself? Either way keeping the nice quality writing, it's rare to see a nice blog like this one today .